This week I finally got my act into gear and made some well overdue changes to my blog: I added a few pages to showcase my writing! The reason I decided to do this now was because I am in the final week of a Travel Writing course with the Australian Writers Centre. The course is five weeks in length and involves downloading audio lectures and accompanying notes each Monday, listening, reading and taking notes, and then completing an assignment. Once I complete the course at the end of this week, I hope to put what I have learned into practice by writing some good travel articles and pitching them to magazines and newspapers. I realise travel writing is an extremely competitive market but I believe I have the ability, and the determination to succeed. I have learned so much already in this course, and I'm excited about what I can achieve. This morning's lecture talks about the use of a blog or website to promote our writing and since I already have a blog it was easy to adapt it for this use. And I look forward to adding more of my published articles over time. Anyone interested in undertaking writing courses (of which there are many) that are tutored by professional writers should check out this website: http://www.writerscentre.com.au/. Will look forward to your next "Blog" adventure! Yes, I can't wait either! Last year I was asked to submit ideas for an article on the theme Prehistoric Times. I had just seen a fabulous documentary on Ice Age Mammals so I chose that subject and after some initial research decided to write about the Woolly Mammoth, the Sabre-toothed Tiger and the Sloth. My editor was thrilled as the 5th Ice Age movie was due out mid 2016. And I was embarrassed to admit I had never seen the movies. So I borrowed them all and watched them in quick succession. Imagine my surprise when I discovered the three mammals I had chosen to write about were, in fact, the stars of the movies! As in books, movies start with an idea and usually a writer, or group of writers, pitches that initial idea. Ice Agewas no different. For the first movie, 20th Century Fox asked writers to pitch on just the two words: Ice Age and American writer Michael J Wilson came up with the winning idea. But he had help and it wasn't from a group of other writers either. I am rather a creature of habit when it comes to reading. I love mysteries, murders, detective stories, sci-fi and a variety of non-fiction, but I rarely read what I would categorise as 'women's fiction'. 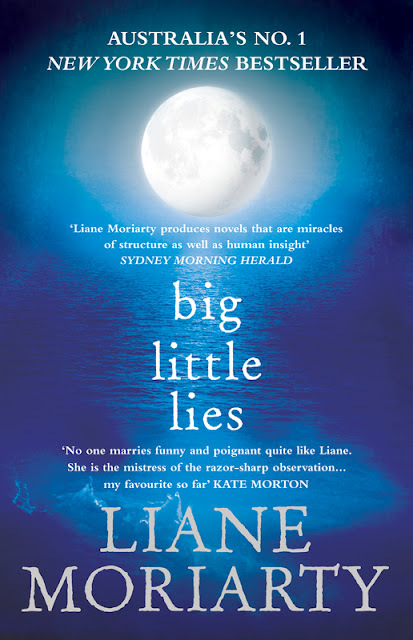 Recently a friend recommended big little lies by Australian best-selling author Liane Moriarty, so I took up the challenge. The story is set in Sydney and centres around a group of young mothers - with children of varying ages in a local primary school - and their lives. At first I thought I would really struggle to get through it but I persevered and I am ever so pleased I did. What results is a funny, tragic, compelling tale with lots of mystery, a murder and romance all wrapped up in wonderful descriptive writing, and with a great twist at the end. I loved the book and towards the end I couldn't put it down. It just goes to show. Even I can read something different from time to time! We recently spent a couple of nights in the beautiful Blue Mountains region of NSW. As a kid, I spent many school holidays at Katoomba Falls in our caravan and have fond memories of great times with family and friends, as well as long bush walks including the Federal Pass from the Three Sisters to the Scenic Railway. In fact I remember one time we hiked several miles to the railway and then smuggled our corgi dog on a carriage in a picnic basket, hoping she wouldn't bark! A visit to Scenic World, the more modern name, was a definite must. But it was almost unrecognisable. As we approached, a four-storey carpark blotted the view - a four-story carpark? At Katoomba Falls? Unbelievable. But the surprise didn't stop there. We parked the car and walked over to the refurbished building which was once home to a revolving restaurant that served fairly basic, but healthy meals.